This lovely police Mini Cooper S has an interesting history and superb provenance confirmed by the British Motor Industry Heritage Trust. It was selected to lead 50 of the rarest Minis on record around the Goodwood track at the 2009 Revival Meeting, before entertaining the crowd by chasing down Rowan "Mr Bean" Atkinson as he sped around the circuit. Royal Mail even saw fit to commemorate the police Mini by commissioning a sheet of stamps featuring the car as a celebration of its history. 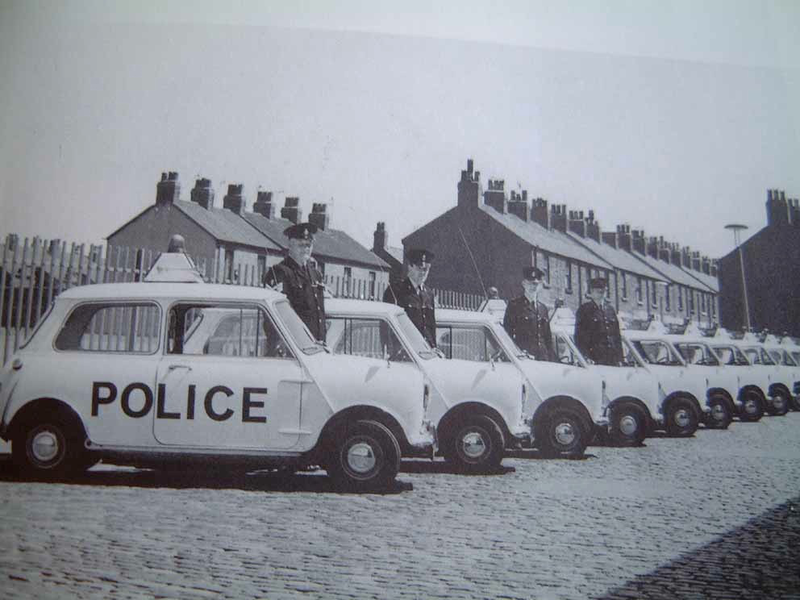 All the original 27 cars were delivered to the Liverpool & Bootle Police at Spekeland St, Bootle in 1968. There they were kitted out with roof-boxes, truncheons, police radios, 'Alcolizer' breath tests, 'blues and two's' (flashing lights and sirens for the British emergency service vehicles) and all that original equipment is still with the car, included in the listing. This is possibly the lowest resolution video on YouTube, but it's great original footage of the car's in action in the '60's - featuring the police Mini pulling over a driver with very good taste.